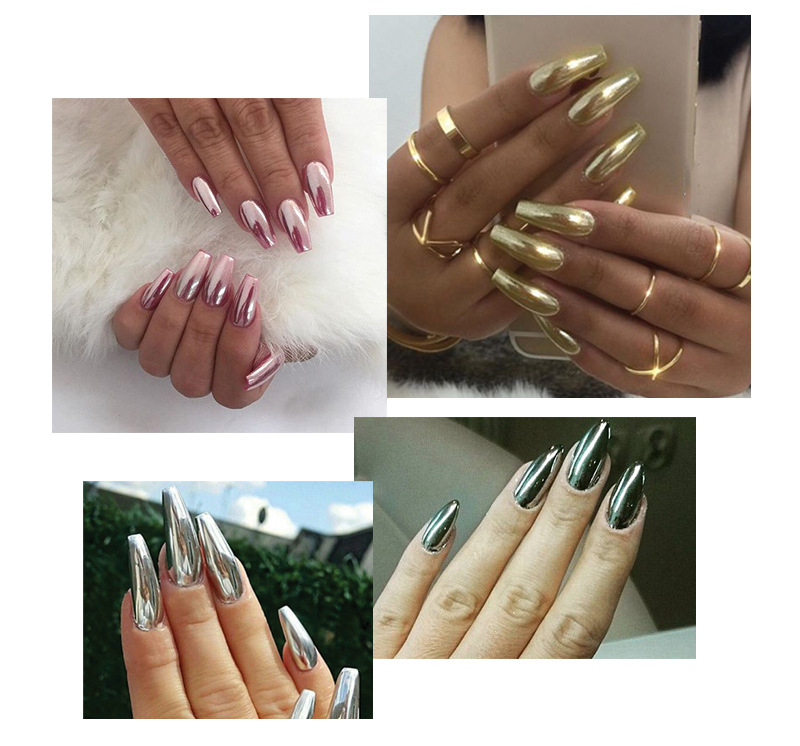 Of course we wanna see our cute reflections in our nails, so we are freaking out at the latest mani trend!!!! 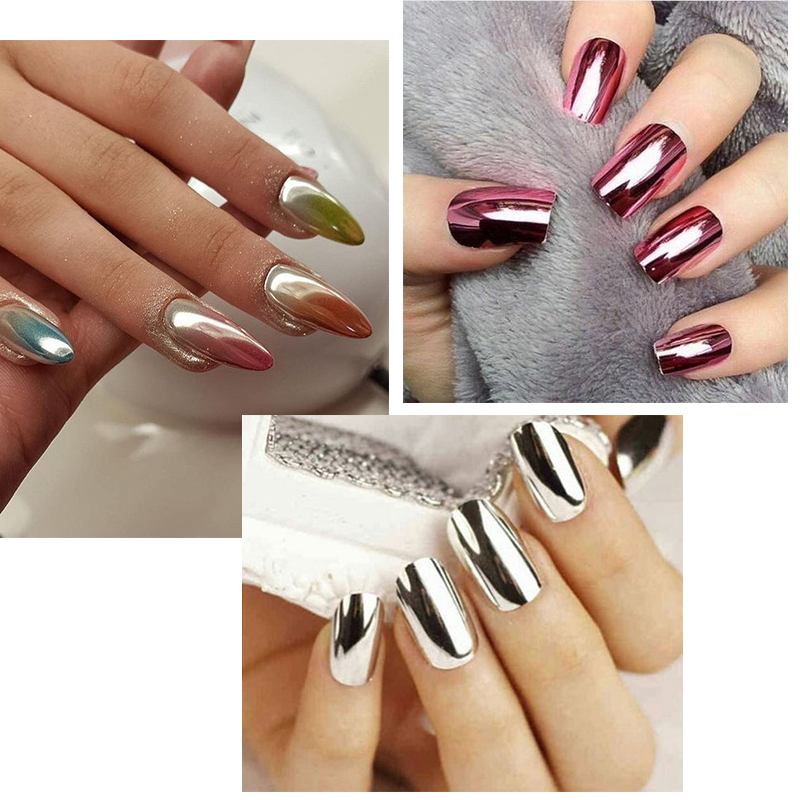 To get your fingertips shinin’, use chrome nail varnish, metallic nail wraps or a pigmented silver powder that gets rubbed on to a gel polish. You can even go for different colours like pinks, purples or greys to get the mirror queen effect. So get them gleaming and get them on Insta R.N. These are gorgeous!! I love the “mirror” effect! !